Water is the best thing for hydration but plain water can get boring to drink. Spice it up a notch with these Gatorade Packets that can be added to your water to make re-hydrating yourself more enjoyable. Gatorade instant powder packs is for hikers, hunters or athletes that like to push their limits, and require on-the-go hydration to replace nutrients and carbohydrates loss during exercise and maintaining hydration and performance to ensure success. 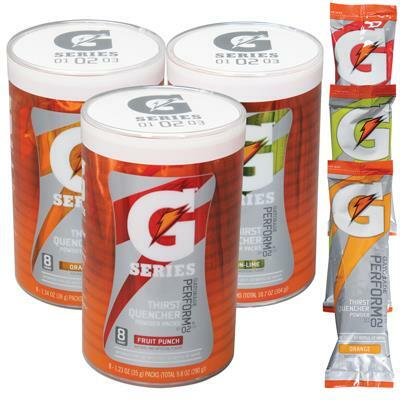 Gatorade powder packets are perfect for instant and on-the-go hydration needs. This is the easiest way to quench your thirst.